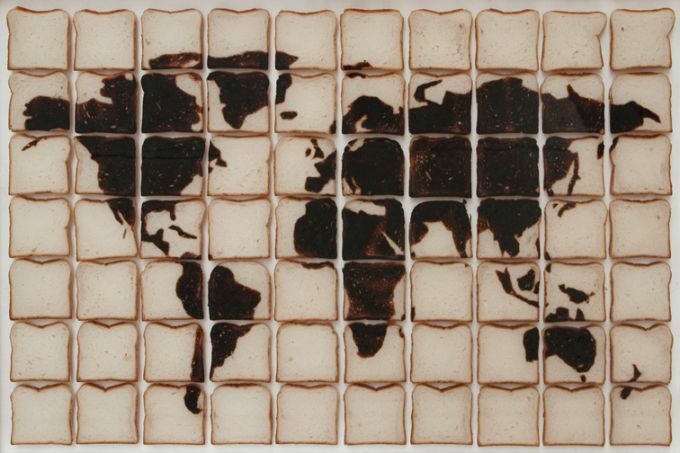 Italian-born David Reimondo also uses unusual materials for his work: bread. He bakes his own bread, slices it and then toasts it with a blow torch making specific designs and patterns. 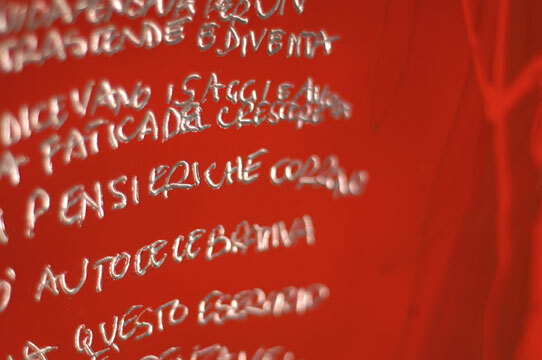 The completed work is then placed under a transparent resin, which both preserves the bread as well as highlights the beauty of the art. This use of bread, combined with the modern imagery Reimondo chooses, explores the relationship between technology and humanity, body and space, and language and identity. His works are not really considered paintings, photography or sculpture but do contain elements of all three processes. Another Italian artist to watch is Karim Ghidinelli. 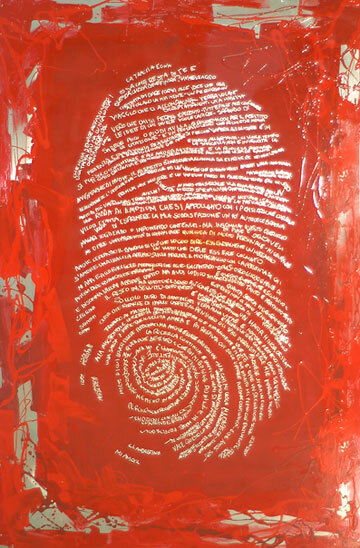 He uses metal and an image of his thumbprint to mark the passage of time and the idea of travel. Enriched with many layers, his work documents our contemporary daily life and the politics of identity. Ghidinelli also works with oil, collage and wax. Born in 1951, Lucille Marcotte has been showing her artistic talent since 2004. She practiced psychology for several years before dedicating her life to painting. 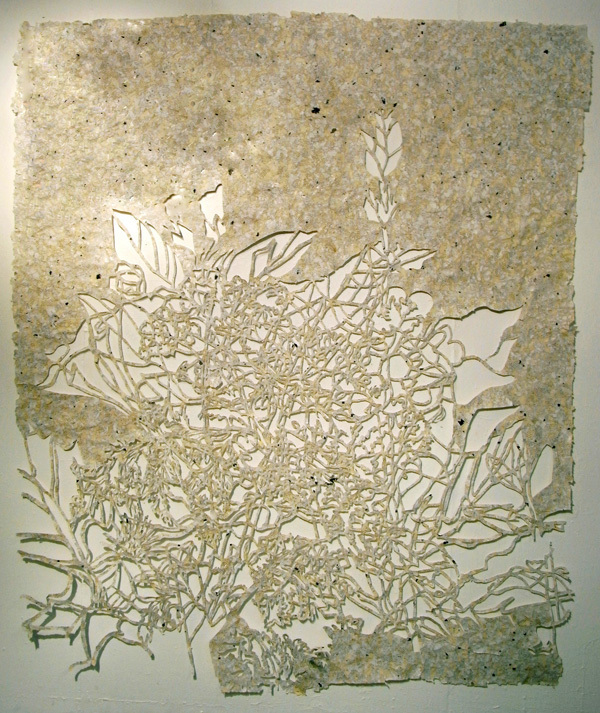 Marcotte is influenced by Japanese calligraphy. She emphasizes the purity of the line while suspending her figures on white backgrounds. The viewer is invited to find the face behind the canvas. Marcotte's works are well represented in Canada. 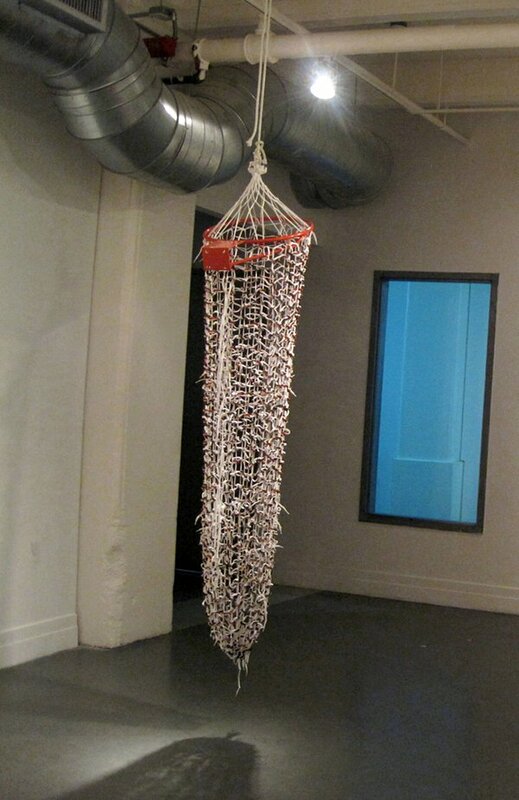 Suzanne Broughel is a New York based artist working in sculpture, installation, and photography. Her work addresses race and cultural identity from the perspective of a white American female raised in a racially charged environment. Using everyday household objects as art materials, she sifts through autobiography, history, and popular culture to address privilege and question the identity of whiteness. Here, she has created a giant dreamcatcher made out of shoelaces, rope and a basketball hoop. 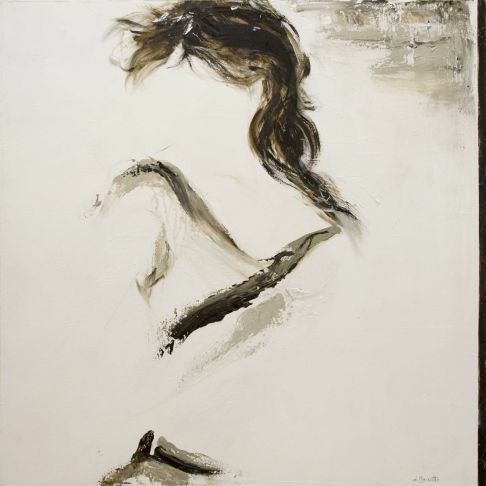 Canadian-born Emily Filler started to draw and paint at an early age, greatly influenced as a child by her frequent visits to art galleries with her father in Ottawa. Her floral landscapes are created in her mind. 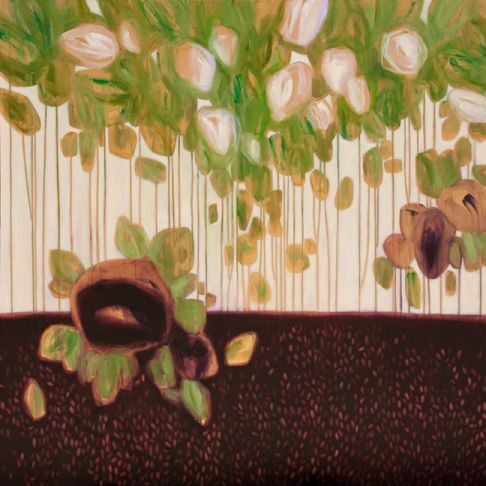 By blending colors and patterns into dream-like images, her goal is to convey the impressions which flowers and nature leave in our unconscious. California-based Amit Greenberg is among a growing number of artists using various found natural objects to construct reliefs and installations. 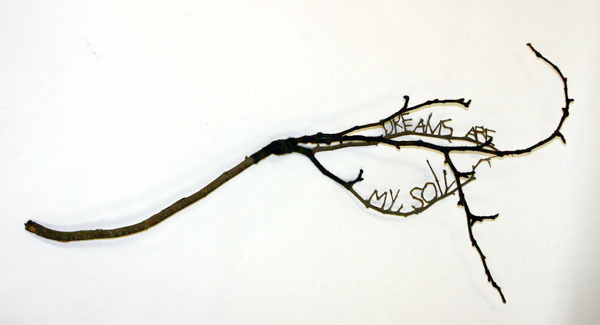 He likes to manipulate tree branches to create work that evokes organic forms with witty messages. Prices range between $5,000 and $30,000 but vary according to artist.